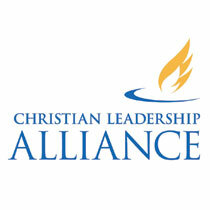 The Christian Leadership Alliance shares insight into developing an effecting process for businesses and organizations to select its directors. In non-profit and church organizations, the process of choosing directors varies dramatically. It is important for leaders making the initial selection to work out their stated values ahead of defining the process, as well as defining their model for how they interpret the owners’ wishes. The organization’s bylaws will typically speak to this, but if new bylaws are in the offing, or old ones are being reviewed for revision, there may be room for laying out the process and model more explicitly. Solid steward leadership means that the directors steward on behalf of the owners, not just the stakeholders. The process of selection must reflect the organization’s (owners’) values. Therefore, the process’ crafters must have some means of discovering, knowing, and implementing those values. Employees, particularly the most senior staff person, are stakeholders in the process, but should not choose those to whom they will be accountable unless they somehow also are owners, or represent the owners, and then their influence in and control of the process should be no more or no less than other owners with equivalent stake and standing. The process of selection should not concentrate power in any one person who is not a direct owner of the organization. Those selected should reflect the owners’ values, and, unless the owners’ values dictate otherwise, should be independent of management. For an organization or business to maintain healthy accountability, it must make sure its process for selecting its directors, who will then represent the owner or owners, is itself an accountable process. How does your organization or business select its directors?